New moms and dads, mark your calendar for Saturday, Feb. 23! Walmart stores throughout the country are holding a "Baby Savings Day," offering sales on many of their baby items like strollers, cribs, car seats and formula. Stores are holding baby-related events from 10:30 a.m. to 4:30 p.m. Many Walmart stores in Palm Beach County and the Treasure Coast will rollback prices Saturday. 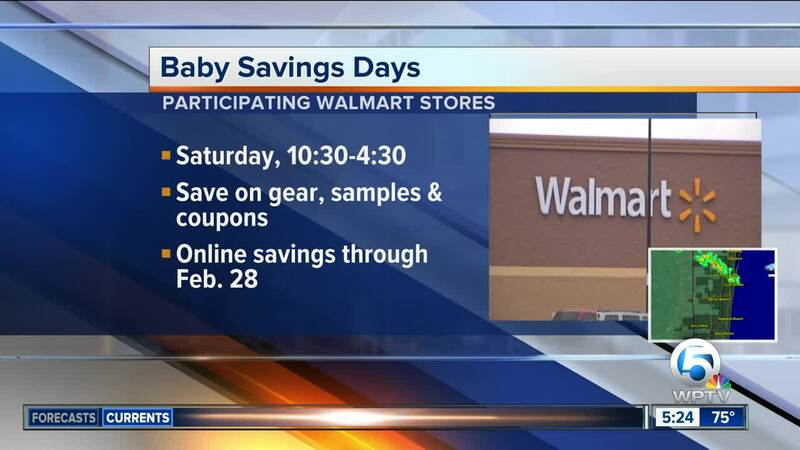 Click here for a full list of Walmart stores participating in "Baby Savings Day." Also, Walmart’s website touts that from Feb. 2 to Feb. 28, their "Baby Savings Days" allows customers to save 30 percent on select items.